Interview: Baths; Playing at Black Cat June 14th! Baths isn’t an MC. And his version of hip hop isn’t traditional. And that’s what makes it so good. A part of the celebrated LA beat scene, Baths – aka Will Wiesenfeld – wraps stuttering percussion in lush melodies and acoustic instrumentation. It’s eclectic, textured, and always interesting. 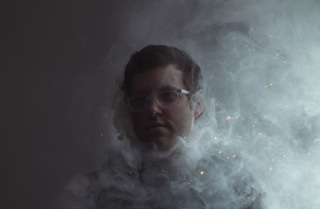 We were lucky enough to catch up with Will Wiesenfeld of Baths before he hits the Black Cat stage this Friday, June 14! Check out what he had to say about his first gig, his most memorable show and his dream lineup! Weird Al at the Greek Theater in LA. An insanely sweaty and ridiculous house party for New Year’s Eve in 2009. Every single one of my friends in LA was there and it was the first time they had heard any of the Baths material. I can’t remember the best ever, but recently it was Emptyset at Decibel Festival 2012. At least within the past two years, it was the best I’ve seen. I have no idea?! Maybe just a lot of ambient acts doing a sleeping bag-type gig out in some natural beautiful place somewhere. Catch BATHS playing at the Black Cat this Friday, June 14! It’ll be the PERFECT way to start your weekend! Tickets below!